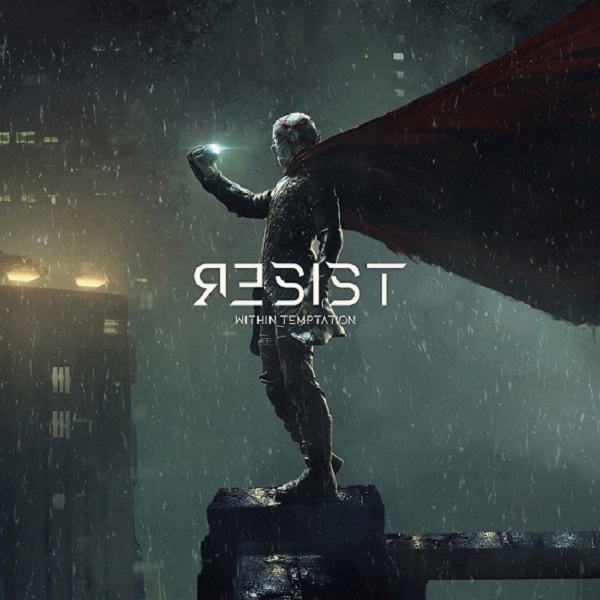 Very far removed from their days of being a Symphonic Metal powerhouse (“Mother Earth” and “The Silent Force”), Within Temptation returns after four years with “Resist”. Attempting a dead cat bounce, the band puts out an extremely overproduced release that while it might appeal to the fans the band has gained since “The Unforgiven”, it will probably completely turn off their older fan base. We rarely write bad reviews these days as we rather save the time and energy for good releases that deserve to be heard, but “Resist” was just asking for it. The album kicks off with the first single, “The Reckoning” a song that takes about 20 seconds to realize it will be bad. With Jacoby Shaddix on guest vocals, yup, the dude from Papa Roach, this track starts the trend of overproduced tracks. The song, while trying to be heavy and melancholic falls completely flat due to their lack of imagination and passion. The trend continues with the futuristic “Endless War”, which at least has some old school vocal arrangements… at times, and the vanilla “Raise Your Banner”, which features Anders Fridén on guest vocals. 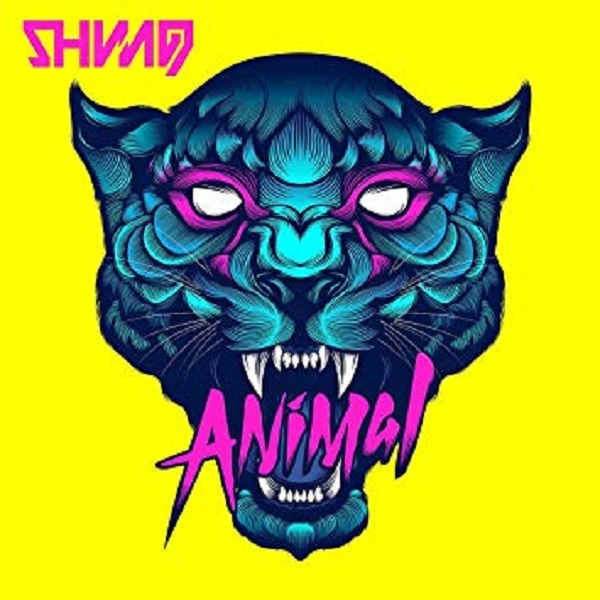 After captivating audiences with their insane ‘Blackjazz’ style (and release), the band continues to push their own musical horizons with a Hard Rocking release titled “Animal”. Always evolving in styles, the band now pursues a more ‘normal’ sound that keep their catchiness but tunes down the madness while delivering an in-your-face attitude. Don’t get us wrong, this release is awesome, but in its own different context. Opening with “Take Me”, the band’s use of synths made us believe they decided to go the Ulver route and play some synth pop, but instead they kept this heavier and sound like Pain and similar Industrial/Electronic Metal bands. While it can take a bit to adjust, the album title track provides the perfect transition into their Hard Rock style with catchy guitar sections and the highly recognizable vocal melodies of Jørgen Munkeby. While Metal elitists are too busy hating on the band’s unique style, Amaranthe has constantly gained more and more worldwide notoriety. With “Helix” the band continues to push the boundaries of Metal with an even more bombastic release filled with their signature catchy electronic elements fused in with heavy guitars and harsh vocals. Led by the charismatic Elize Ryd, the band unleashes twelve superbly catchy songs that are the band’s best and most integrated material to date. Instantly cranking it up to 11, the band opens with the brilliant “The Score”, a track that sets a high-octane intensity filled with catchy chorus sections and playful electronic elements. The band’s Pop-ish magic is perfectly fuses into “365”, where Elize delivers brilliant vocal melodies that are contrasted by the diverse male vocals and subtle atmospheric elements. Continuing the band’s uplifting mood, “Inferno” and “Control” deliver unrivaled catchiness and a very heavy edge to things. 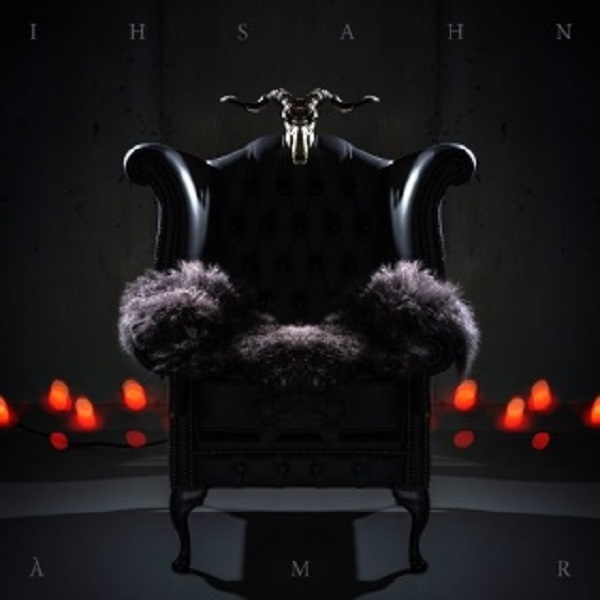 Delicately balancing between Progressive and Extreme Metal, today we have the legendary Ihsahn and his seventh full-length release “Àmr”. For over 43 minutes, the master deliver some very unique and forward thinking music that stills retains the hunger and incisiveness of Ihsahn’s earlier work with Emperor while exploring newer and more complex musical directions. Unleashing an incisive array of keyboards and harsh screams, the album perfectly kicks off with the hectic “Lend Me the Eyes of the Millennia”. This track follows more of Ihsahn’s early work structures, but with a modern and cutthroat edge that no other band has in Extreme Metal. The album’s first single, “Arcana Imperii” with a perfect blend of funky tempo changes and playful drumming that leads to dramatic vocal arrangements and crafty instrumentation. We highly enjoyed the moody clean vocals that give the song a more accessible (to non-extreme metal fans) side while enjoying Ihsahn’s brilliant song writing skills. 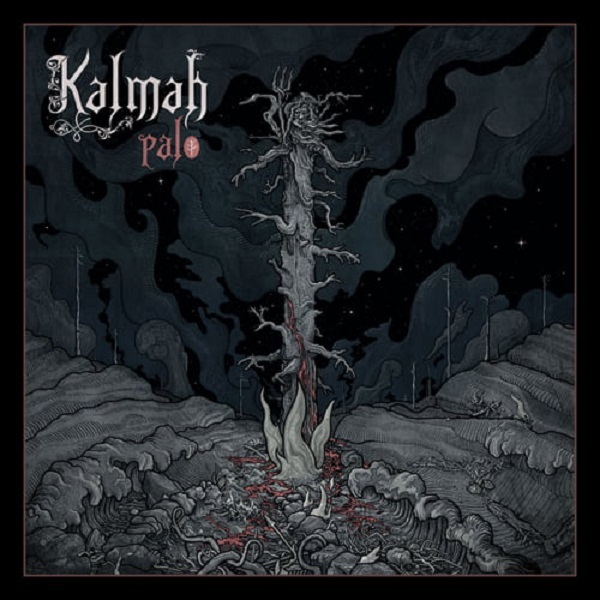 After a period of five years since the band’s last release, fans were eagerly awaiting the latest offering from Finish Melodic Death Metal act Kalmah. Under the title “Palo”, the band unleashes one of the most brilliant onslaughts of melodic music ever to be recorded. Clocking in at around 46 minutes, Kalmah delivers ten tracks of impressive quality that feature their signature style with a modern sounding edge, making it their best release to date. Opening with the catchy riffs of “Blood Ran Cold”, the band sets a very epic melodic mood from the start. With a very Finish Melodic Death Metal sound, the band instantly brings memories of their earlier works and the guitar acrobatics of bands like Children of Bodom. However, not everything is just blistering solos, as the band has some of the chunkiest riffs in the business as we can hear in the opening of “The Evil Kin” and the melancholic “The World of Rage”. Finally returning after a five-year stint without new releases, today we have Sweden’s Diablo Swing Orchestra and their truly kooky and extremely diverse Avant-garde Metal music. 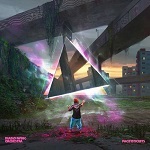 With “Pacifisticuffs” we are instantly transported into the band’s unique world with thirteen brilliant tracks filled with lush instrumentation, superbly catchy melodies and chaotic creativity. Opening with the superbly catchy “Knucklehugs (Arm Yourself with Love)”, the band makes a very quick impression with this chaotic piece that mixes everything from Punk-ish elements with Country-Western influences to Jazzy and Bluesy elements, creating a very unique song. Setting a very dark opening mood with string instruments, “The Age of Vulture Culture” leads up to some Mariachi-like passages led by the charismatic Kristin Evegård, the band’s new female vocalist. This track in particular reminds us of bands like Russkaja. Making a triumphant return in 2016, today we have Amaranthe and their latest opus “Maximalism”. Being one of the most polarizing bands in Metal, you either love or totally hate the band. We took a bit of warming up to the band, but with time we have grown to appreciate their efforts in bringing two different worlds together in a very bombastic and creative way. 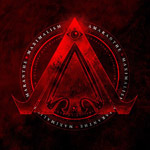 The album opens with the startling “Maximize”, a track which features all the traditional staples that have made Amaranthe world known: catchy vocal melodies, hip beats, and an addictive chorus section. The band has never denied their Pop/main stream influences and “Boomerang” is a pretty good example of this, regardless of the growls or heavy guitars. Delivering one of the most expected releases of 2016, today we have Pysch/Prog Rockers Purson and their sophomore album “Desire’s Magic Theatre”. Since creating quite a commotion with their creepy debut release “The Circle and the Blue Door”, the band has been gaining fans left and right in all parts of the world. Featuring a richer and warmer sound, this release delivers ten brilliant tracks that perfectly highlight all the awesomeness behind this promising band. Led by the lovely and equally intimidating Rosalie Cunningham, this UK outfit opens with the fuzziness of the album title track. This piece sets retro Rock vibe with its groovy guitars and hypnotic percussions. The full-on explosion into melodic psychedelic/proggy interludes makes this track quite a solid opener. Moving on into more ‘traditional’ Jimi Hendrix-esque territories, the band delivers the trippy “Electric Landlady”, one of the most playful and engaging songs in this release. 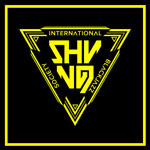 As one of the weirdest and most extreme insanely popular bands that we listen to, Shining returns with their own band of crazy with the epic “International Blackjazz Society”. Delivering nine tracks of truly deranged and visionary music, this is one of those releases that keeps you guessing from start to end. Jørgen Munkeby and company manage to further elaborate on their very original style and deliver one of the most diverse albums of 2015. Setting a very chaotic and odd atmosphere with their sax madness of “Admittance”, the band is ready to pounce on the listener with the catchy riffs of “The Last Stand”. The catchiness of this track is nicely offset by the distorted vocals and trippy atmosphere. Reminding us a bit of Diabolos Rising and Industrial Black Metal bands, “Burn it All” has a very sinister vibe to it and we love it. Things get a bit more mainstream and radio-friendly with the very catchy and more straightforward “Last Day”. 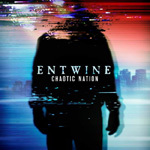 Pleasantly surprising us when we received this album on our inbox, today we have Entwine and their first release in 6 years titled “Chaotic Nation”. As the whole Gothic Rock craze made popular by him has died down over the years, most of the solid bands in the genre moved to greener pastures. With the return of To/Die/For earlier this year and this new album, there seems there might be some sort of revival going for this scene. Opening with the very Finish Metal sounding “End of Silence”, the bands makes a splash with a very dynamic and engaging song, setting a very good standard for this release. Mika Tauriainen’s vocals are as good as ever and nicely carry the band’s character as they grace songs like “Saint of Sorrow” and “Fortune Falls”. Unlike the latest To/Die/For album that was pretty bad, Entwine has adapted with the times and sounds fresh while still maintaining their signature style.